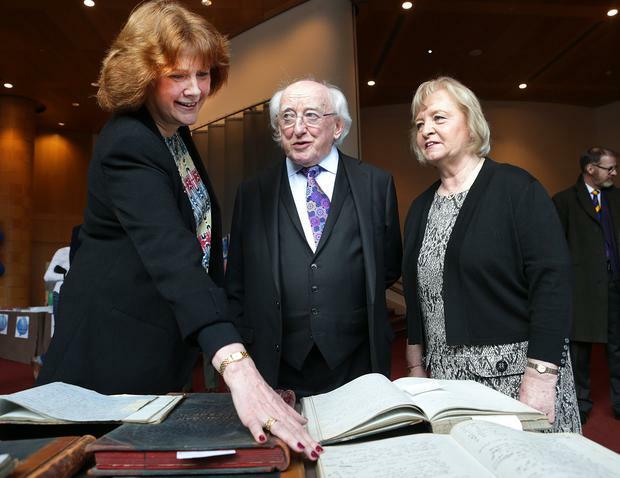 President Michael D Higgins has spoken about the need for “human connection” in the digital age. The President called on people to make time to meet and talk to tackle Ireland’s crisis of loneliness. He highlighted the positive impact of the internet, but said digital life presents challenges. “There is no denying the practical contribution of the digital world, particularly for those who are increasingly ‘time poor’ and who may struggle to balance work and family commitments within a day that is never quite long enough,” he said. Research has shown that loneliness can lead to illness and a 50pc increased risk of early death – while holding a loved one’s hand, cuddling and visiting friends and family are as important to our wellbeing as drinking more water and exercise. Mr Higgins was speaking as the Society of St Vincent de Paul held a day of thanksgiving to mark the anniversary of its foundation in Ireland. Other guests speakers included Regina Doherty, Minister for Employment Affairs and Social Protection, and Kilkenny hurling manager Brian Cody. Mr Higgins said people were facing “a myriad of challenges” in Ireland. Pointing to the growing inequality gap between rich and poor, Mr Higgins said: “Despite the measures that may suggest an improvement in our economy, there are still too many people in Ireland struggling, too many living in consistent poverty. This has to change. Last year the World Economic Forum highlighted Ireland’s “soaring wealth inequality”. The country was placed eighth out of 30 in the organisation’s Inclusive Development Index. The report found that although median living standards had risen modestly, Ireland was faced with “high income inequality and soaring wealth inequality”. Last month the number of homeless people in the State climbed above 10,000 for the first time. The Department of Housing showed 6,480 adults and 3,784 children/dependants accessed emergency accommodation during the week beginning February 18, a total of 10,264 people. The Fr Peter McVerry Trust pointed out that the figures did not include people sleeping rough, people couch surfing, homeless people in hospitals and prisons, those in direct provision centres, and homeless households in domestic violence refuges.